Update: this piece was produced into an audio version for Radio National’s Life Matters program. Go to this post to have a listen. The ABC Open 500 words theme for September 2014 is ‘I broke it’. There are surprisingly very few things I’ve broken in my lifetime (bones included… running tally ZERO touch wood) so I had to think back to when my husband and I first went away together on a trip up the coast. I’d never heard of this book before I saw it on the 100 must-read book list. It sounded intriguing so I decided to make it the fourth read in my 100 book challenge. It’s received extreme mixed reviews, and now I’ve read it I can understand why. It’s a story about a teenager, living with his dad on an island in Scotland. From page one, I was thrown in a bizarre world of murder, cruelty and revenge. Banks’ point of view is set deeply into the mind of the sixteen year old character, which gave the book a layer of innocence and helped me connect with the main character – despite his actions. I always like the idea of telling a story from a different point of view, and this book allowed me to get into the head of someone who, because of his upbringing, interacts with the world in ways that make you sick to the stomach. But it is all hidden beneath the surface – the people who meet the main character and his father probably wouldn’t suspect anything untoward happening on the island. This book really affected me! Visitors to the house always comment on my bottle wall. After my father died I couldn’t bring myself to throw his bottles out, so I made them into an art piece. A reminder. ‘I wish my parents left me something worthwhile,’ they say. Visitors don’t know the story behind the bottles. 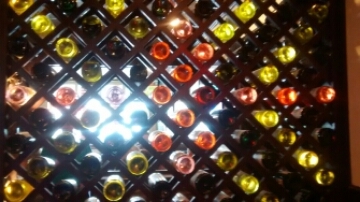 Every bottle has a meaning. Every bottle ended in an argument. A broken promise. A broken glass. Yes, in a way. I’m lucky my father left. 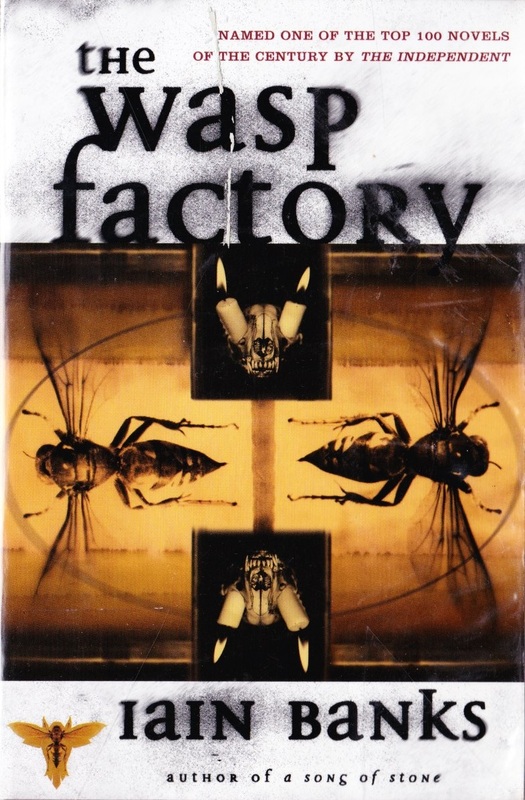 I’m feeling a bit dark after just finishing Iain Banks’ The Wasp Factory as part of my 100 book challenge (read my review here). I’ll try for a more cheery piece next week, I promise! Read my reviews of books as I make my way through the 100 book challenge here. After the seriousness of Brave New World and the craziness of Hitchhiker’s Guide, I needed something a little more poetic and predictable. So the third book in my 100 book challenge was Hamlet, by none other than William Shakespeare. Everyone says I look like her. You have your mother’s hair. I get sick of hearing it. Sure, there are photos. But they’re not the same. It’s the faces you pull. The face I only ever get to see in a mirror. The face that looks like the face I’ll never get to see. It’s the way your lips twitch. It’s the way you squint your eyes. It’s the way you play with your chin when you’re upset. There’s only one person who deserves to tell me we’re alike. But she died when my memories were just beginning to form. In July this year I began my 100 book challenge, where I plan to read 100 classics in my lifetime. See my recent reviews of Hitchhiker’s Guide to the Galaxy and Brave New World and let me know what you think! 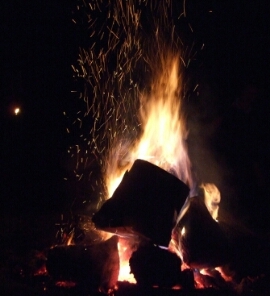 Three of us are huddled by the campfire, nothing but our faces lit on this starless night. Georgina’s between us and she’s laughing at Brad’s jokes. Jealously creeps up my spine. But then a hand reaches across and holds mine. Instantly I relax. Georgina has chosen me! ‘I’m heading to bed,’ she says. Her eyes will answer the question on my mind. I turn to look at her and discover I’m looking deep into the eyes of Brad. Brad’s own face turns from longing… to disgust. And we never mention it again. In July this year I began my 100 book challenge, where I plan to read 100 classics before I die. In 1932, Aldous Huxley wrote a book about the future. It is a future where everyone is happy, everyone belongs to everyone else, children are decanted (not born) and society is split into a 5-part caste system where a person’s thinking capacity is limited depending on what job they are destined to perform. 82 years later, I sat down to read the book as part of my 100 Book Challenge. Were these yellowing pages successful in predicting the future? 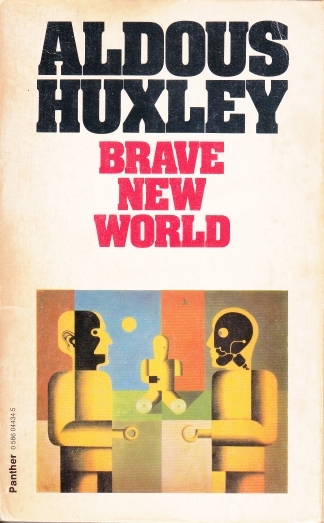 Brave New World is an absolute brilliant piece of work. It was surprisingly relevant still today and made me think on many different levels about the way we live and the choices we make. It took me on a journey beginning in awe of the utopian society, to questioning it, to loathing it. Unlike the previous book in the challenge it had a clearly defined beginning, middle and end. And it took me just a few days to read. So how close was Huxley in predicting the future? Did he get it right?